The Indulekha bringha hair oil contains an ayurvedic formula that is supposed to stop hair loss and promote hair growth. After a good 10 months of continuous use, I’d say it does help with controlling hair loss although it has not been as much effective with hair growth. 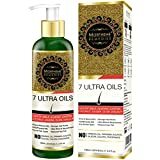 If you’re looking to make your hair grow, you might want to consider buying a hair growth oil with 7 ultra oils that aid in restoration and reparation of falling hair, stronger roots, and growth of new follicles. Remember, there is a lot of hair oils out there: both good and bad. Whatever you decide to buy, check the label for ingredients and determine whether or not they will suit your type of hair. Like you, I was curious about knowing how helpful Indulekha hair oil would be for me. Here are some of the many questions that I wondered about. Is Indulekha bringha hair oil really effective? What kind of an ayurvedic hair oil is this? Does it help grow new hair? Or, does it stop/repair hair loss? Are there any side effects that I need to worry about? Can I expect to see some good results with this oil? How to apply Indulekha bringha oil? (Well, to be honest, I was not much concerned about this then). After having used the oil for a few months now, I think I now have the answers. 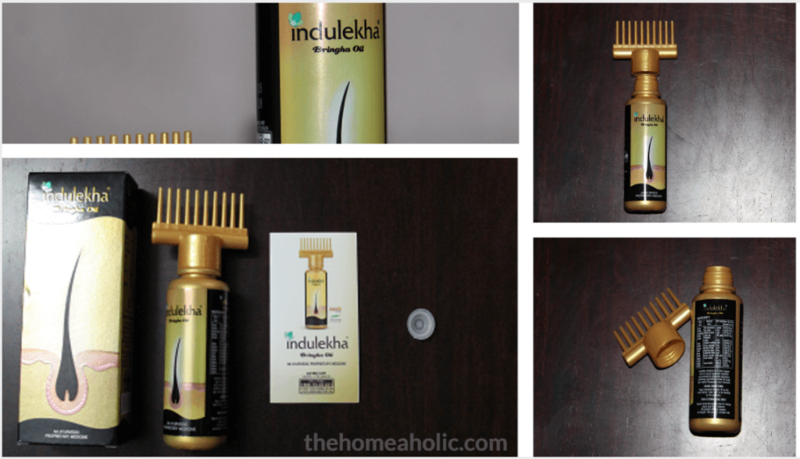 And I’ll give you an unbiased account of my experiences in this Indulekha hair oil review. Before we begin, let me provide a little background about my how I discovered Indulekha. I suffered mild hair loss in my mid-twenties. I really didn’t care until it got to a point where my hairline started moving backward. Suddenly, I felt like I started losing more hair than ever. That is how quickly it can happen. I felt stuck, not knowing what to do to prevent myself from going bald. My friend at work suggested I check out hair growth oils with herbal extracts since they have minimal side effects and are free from harsh chemicals that strip natural oils from hair. I started looking for one. That’s when I saw the advert of Indulekha hair oil and everything about the hair oil looked too good to be true. Unconvinced about what I saw, I went online and searched for a few reviews. I browsed through several images and videos showing the ‘before and after’ photographs of people who tried it on. While a few photos and videos were convincing, some did not look natural at all. After spending a lot of time going through such customer reviews and complaints, I had absolutely no idea whether Indulekha oil would be helpful for me. I badly wanted to find out one thing: Is the Indulekha bringha oil good or bad? I thought I would be better off trying it myself rather than just read through random reviews on Mouthshut and other websites including Amazon. Finally, I decided to give it a try and see whether it can give me good results. In the rest of the post, I am going to give you a detailed account of my observations about this all new hair formula. We’ll have a look at everything there is to know about the Indulekha bringha oil. From packaging to results, we will dig in and look at all the things so you can make a well-informed decision as to whether it is worth buying Indulekha hair oil for the amazing results that the maker claims it can give you. First, let me go over the contents of the pack so you know what to expect when you are all set to open the pack yourself. a handy guide with usage instructions and general information about the oil and its ingredients. What's Striking about the Indulekha Oil? The most notable thing about this oil is perhaps not its smell, texture, or anything about the oil in itself. It is the way it is packaged and presented to you. Yes, I am talking about the design of the bottle, which, by the way, is patented. About 5% of the users confirmed in their reviews that it was frustrating to see the bottle leak especially when held in an upside down position. Personally, I’ve had no leak from the bottle. So here are the good things first and the not so good things about the bottle’s design. The selfie bottle, as it is called, is characteristic of a smart and unique design. Meant to make applying hair oil an easy affair, this selfie bottle features a unique design with a special applicator tip that has comb-like bristles. When squeezed, the oil seeps through to the holes of the applicator so you can apply it easily on your hair. The main advantage of the patented design is that it allows for easy application of the oil right where you want it. Whether you want to get some oil onto the scalp area or nourish the tips of hair strands or just apply it all over from root to end, the selfie bottle design makes it very easy for you. The bottle seems to leak some oil to the sides when used upside down. More to the point, when squeezed in an inverted position, the bottle lets the oil pass through right to the tip of the applicator fast, but not without spilling some oil from its mouth. We’d have liked to see a well-sealed covering wrap around the areas formed between the cap and the mouth of the bottle that ensures that the oil doesn’t seep through. Instead of just sliding down as you pull it through the hair, the applicator, at times, tends to get stuck causing a bit of a tangle. Therefore people with short hair would find applying oil using the applicator a lot easier than those with long hair. If it’s a bit frustrating to see oil drip down from the sides of the bottle then it’s even more so to find the sides get sticky and oily all too often. What this means is that there is a good chance for dirt and grime to accumulate on the sides of the body, making it slightly uncomfortable to hold the bottle. Unless you store it in a place sealed from dust or lock it away in a container, the sides of the Indulekha selfie bottle will need to be wiped clean every time some oil is drawn out of it. The Indulekha oil is red in color, more of water melon-ish red. As for consistency, it is not very thick per se. In fact, it is slightly on the thinner side and there is a bit of stickiness to it but nothing over the top. You don’t have to worry about whether your hair will remain sticky even after you wash it off. This oil, like many Ayurvedic oils, has a strong odor. I understand that this hair oil has such a powerful odor, but to cover that strong smell, the makers could have chosen an odor that was not that strong or should have added a perfume ingredient to make it more pleasant. The odor remained even after washing my hair, and that was a bit of a minor problem to me. The Indulekha bringha oil consists of an Ayurvedic formula made with special herbs and ingredients as listed in the table below. Grape Vitis Vinifera Fruit Reduce skin allergy and burning sensation if any. Also known for detoxification and boosting the immunity of skin. Known to add strength to hair roots from within, Curry leaves are generally good for hair growth. Particularly effective in treating damaged hair, making thin hair shafts stronger, arresting hair fall, treating dandruff, and adding a bit of bounce to limp hair. Svetakutaja Indrayava Wrightia Tinctoria Leaf Said to possess anti inflammatory and anti dandruff properties, making it a vital ingredient in the preparation of this hair oil. Kumari Aloe Vera Aloe Barbadensis Leaves Made of proteolytic enzymes, Aloe Vera has a chemical make up similar to that of the primary protein of hair- Keratin. It is said to rejuvenate hair with its own source of nutrients, and helps repair dead cells on the scalp while acting as a conditioning agent, leaving your hair totally shiny and smooth. அதிமதுரம் in Tamil Glycyrrhiza Gabra Root The antimicrobial properties of this root has made it a common feature in hair growth formulas. Known to fight against dandruff, treat patchy balding, and prevent hair loss from aggravating further. Amrita Amrita Tinospora Cordifolia Stem Nourishes hair follicles, promoting hair growth. Brahmi Brahmi Bacopa Monnieri Whole Plant One of the key ingredients of the Indulekha hair oil. As an effective herb, it helps treat dandruff, reduce split ends, add lustre and texture to hair, and thickens roots thereby reducing hair fall. Karpura Camphor Cinnamomum Camphora As it is Known for its cooling properties, Karpura helps keep your head cool, while preventing hair fall due to dandruff and lice. Kshiram As it is It purifies the blood and keeps blood flowing into the cells, stimulating hair growth. It also has good aromatic and cooling properties. That’s an impressive list of herbal ingredients all blended together to form a complete hair care solution good enough to treat common hair issues such as dandruff, white hair, grey hair, and, to a certain extent, baldness. Down below we have broken down the steps you need to follow to apply Indulekha bringha oil, but thankfully, it’s pretty straightforward. You can also check out the original instructions on the manufacturer’s website. Open the inner cap of the selfie bottle and make a small hole in it for oil to drip through. Put the applicator on top and turn the cap. Make sure you keep turning it and turning it until it’s sealed and tight. Using a wide toothed comb, pull through your hair to work out detangles, if any. You may also use the applicator to do so if that works for you. Arrange your hair into a parting. Now you are all set. While keeping the needles of the applicator in constant contact with your scalp, squeeze the bottle gently as you comb your hair from front to back. As you squeeze, the oil is released to the scalp- in an even manner-through the tips of the needles. Repeat until you are sure you have enough amount of oil released to your scalp. Finally, after applying desired amount of oil in your hair, use your fingers to gently massage your head. P.S: I tried the all-new Indulekha Bringha Shampoo. Here is the review. Is Indulekha Oil Good or Bad? Well, it’s hard to tell. I think each of us are unique, and you can’t make a generic statement about whether it is good or bad. For me, it was neither good nor bad. Who knows, it may work for you. Each of us is different and our body responds to such hair fall treatments in different ways. But one thing is for sure. Being an Ayurvedic product made from specially curated herbs, this oil cannot be too bad for your hair. I can tell you that. Each and every herbal ingredient of this Ayurvedic oil has something different, which, on paper, can help treat most of your hair problems, and that’s a good thing. However, you may not see any immediate results at all. Yes, many reviews of Indulekha oil raise serious doubts about its effectiveness. I can only speak for myself so I thought it would make sense to put out a list of what I think are the advantages and disadvantages of using this product. Made from natural herbal ingredients proven to target the root cause of many hair problems. Most of them have been tried and tested in several Ayurvedic formulations and preparations for many years now. Bringharaj and Brahmi are worth mentioning. 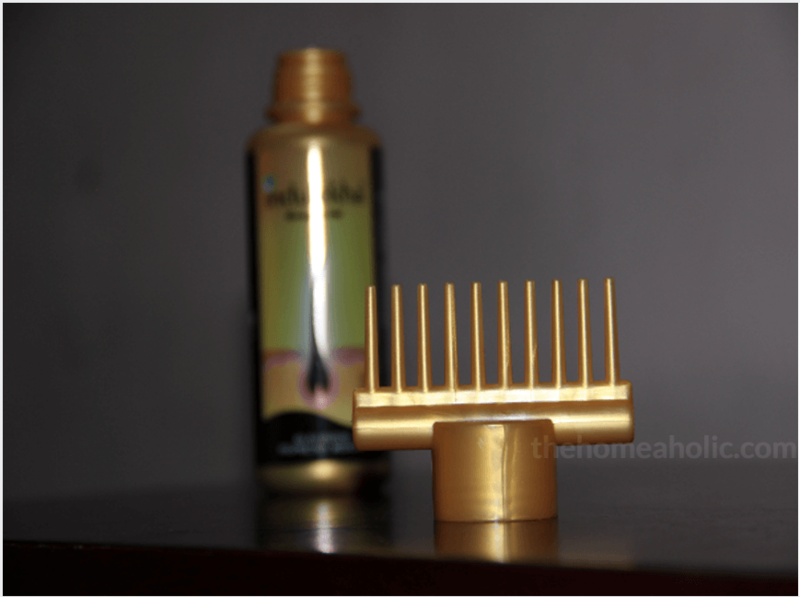 The patented design of the bottle, particularly the applicator, makes the Indulekha hair oil a complete joy to use. As much as it’s fun to use, it also adds a whole new dimension to treating a problem like hair loss or dandruff, which can be a bit annoying at times. Upon regular use the oil makes your hair look black, giving it shine and luster. The oil has a powerful odor that some of you might find offensive. If you hate anything that has, like, really strong smell, the Indulekha oil might not be a great option for you. It is expensive compared to other hair regrowth oils and Ayurvedic preparations available in the market. What are the Side Effects of Indulekha Bringha Hair Oil? There are no serious side effects to be wary about unless you have a serious allergy to some of the ingredients mentioned above or something like that. And there are over 1500 reviews to confirm this. Ayurvedic preparations, in general, are considered safe to use as long as they are made in compliance with the ancient method of preparation- for example preparing the active ingredient using the whole plant as against a particular part of the plant. As was mentioned earlier, this is a specially prepared Ayurvedic formula made using whole plants (of a variety of different herbs) that are known to nourish your hair and make it stronger from the inside. While it’s generally true that not all Ayurvedic formulas suit all kinds of people, but they never show drastic side effects. While it’s generally true that not all Ayurvedic formulas suit all kinds of people, but they never show drastic side effects. That being said, if you have an allergy to one or more of the ingredients in this Ayurvedic oil, you might feel some sort of itchiness on your scalp, to say the least. Finally, we get to talk about the results. Though I would have liked to have seen more growth in certain areas, I can confidently say that Indulekha oil has provided decent results with arresting hair loss. 1) Applying Indulekha oil has made my hair strands grow longer and look slightly thicker than they were before, adding a bit of volume to my hair. The extra volume and length of hair now means I can make my hair cover some bald patches which really started to get worse. 2) Further, its nourishing effect made my hair become stronger, look blacker and a little shinier. Healthier hair means fewer chances of dandruff, split ends and higher chances of consistent hair growth without breakage. Overall, the results so far have been quite encouraging that I would consider sticking to this treatment for some more weeks. Many positive reviews had this thing in common and I think it’s true to an extent. I can expect to get better results with it if I keep a watch on my diet and start applying it more frequently , and that’s what I am working on. Made with a powerful blend of herbs that are proven to help grow hair by stopping hair loss and aiding in growth of new hair follicles. Results vary from person to person. But, it’s worth trying once anyway because it is easy to apply and does not have any serious side effects to be wary about. Does Indulekha Help with Hair Growth? In my case, it does seem to help with controlling hair loss even though it’s not that much. 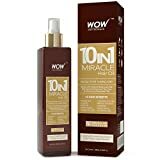 For sure, it would be quite exciting to apply this oil all over your hair and wait for it to stop hair loss and help regrow hair quickly- as advertised. And, I’d have been extremely happy to have seen some quick and impressive growth. But it doesn’t happen over 15 or 30 days. And, you’ve got to be patient. I don’t want to give up on it just because it is not giving me the results that I am after soon enough. I guess I should give this hair oil some more time and see whether applying it on a regular basis helps hair regrow. I’ll be sure to report back soon with more details and some “before and after” photographs. My recommendation would be for you to try Indulekha oil once and see how useful it is for you. Well, it might be worth trying once, just to find out how helpful it is. That said, it might not be a bad idea to try this hair oil once and see what you get out of it- for two reasons. It doesn’t have any side effects for you to be wary about. And, it doesn’t hurt to test. However, if you are struggling with heavy hair fall or dandruff issues or some sort of an allergy, it is a wise thing to consult with a dermatologist and take their opinion first. Few More Frequently Asked Questions…. Before I conclude, I would like to go over some more frequently asked questions about the Indulekha oil. Does this turn grey or white hair black? It depends. How frequently and how long should I use this oil to see good results? It depends. Will it resolve my dandruff problems? It depends. Can it prevent the onset of hereditary baldness? No. Except for the last question, there is no better/safe answer to give than say “it depends”. The reality is there’s no one answer. Hair fall, hair growth or greying for that matter are complex phenomena where there are way too many variables such as age, stress, allergy, genetics etc. So what works for me may not work for you, and vice versa. What I think about Hair Growth Oils? 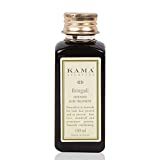 The way I see it, hair loss or hair regrowth is a bigger problem than could be merely solved by nourishing oils that give your hair shine and strength like the coldpressed amla oil etc. I firmly believe that it takes more than a magic hair care solution to have a fairly good chance of hair regrowth. As you’d know, nourishing your hair from the inside is key for new hair follicles to grow and you simply cannot apply any hair care oil and expect to see good results unless you bring some lifestyle changes. So, to give yourself the best chance, you should take a well balanced diet, find nourishing hair oils that work for your hair type, use a natural sulfate-free shampoo, and do everything you can possibly do to avoid stress. With the Indulekha oil, you have the nourishing part covered though. Sure enough, it is packed with natural ingredients proven to treat hair loss problems but it just can’t give you excellent results on its own. Well, you need to take care of the other two things mentioned above (Diet and Stress) to be able to give yourself a good chance to see some positive results. Thanks for reading all the way through. I’d love to know what you think about this article or hair loss in general. Please tell us in the comments. i am using induleka hair oil…………. can i use ayush ayurvedic shampoo for bathing plz help me? 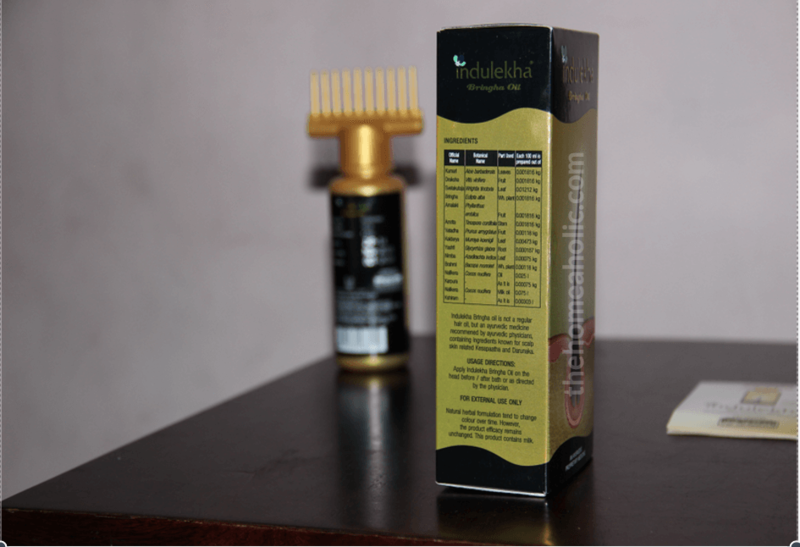 it is not that Indulekha hair oil only works well with certain products. What means is that there is no guarantee that you will get better results when you use Indulekha hair oil with Ayush Ayurvedic Shampoo or any other Ayurvedic shampoos for that matter. Having said that, you will do well to stop hair fall when you start using shampoos that are free from sulfate, paraben, and silicone. These are strong chemicals and may strip natural oil out of your hair follicles and cause permanent damage that cannot be undone. So if you have not had good results from using conventional shampoos that contain these ingredients, it is high time for you to stop using them and go for natural alternatives. The good news is that there is a rise in such organic products and you can find one for your budget online. Do your research. Hope it helps. Wishing you the best of luck with your hair care journey. P.S: I am going to spend some time researching all the organic shampoos sold in India and will put together a detailed article so don’t forget to check back the site. How long one needs to use this product. Heared it shld b used for 4mnths. But what after 4mnths. Do one needs to use life long? Fallan hair can come back ? Is it only for women or men too. Please reply. The product is targeted at both women and men. Although there is no guarantee that hair loss will stop at once and new hair follicles will start growing, Indulekha hair oil has a finely selected list of natural ingredients that help condition your hair and is a good balancing agent to nourish your hair from the inside. In my case, like I mentioned in the review, this oil has not given me excellent results, but I have seen some encouraging results nevertheless. If it can work for me, there’s no reason why it can’t work for you. Go for it and give it a try. It’s an all-natural product that is free from any artificial additives and strong chemicals so there’s no harm trying it. Please don’t forget to comment back if it helped you anyway. Your experience will be valuable for other men. Dear, I am looking for clinical trail results. But could nt find any where. Is thing to go far hair transplant or PRP. But decided t try this this hair oil. I used nearly one or twice week. Apply before sleep and wash in mornings. From past 6 months.. I see that hairs started strong and mild increase in density. I see many very slow growing hairs.. hopefully they get thick and attain normal hair cycle. Seems to have effect but still need to see another 6 months. It is leaky and oil easily gets solid. I have started to use the Indulekha since it is there, my wife rejected the batch saying its too oily & is taking up more shampoo. However I find it nice & the only observation of using it for a week is, the itch of my scalp has stopped, it must have been there for quite some time which was not given importance. 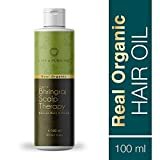 while using this oil the hair will faill or not ? how much bottle we are used for hair fall problem & one more question is indulekha oil & shampoo both are use then tell me truth how are effect of on my hair??? ?